Happy Canada Day! Plus… Fan Expo Canada tickets on sale. No work, no school… backyard barbeques and visits to the cottage… it’s July 1 and it’s time to celebrate being neutral and non-confrontational! Earlier this morning FAN EXPO CANADA tickets went on sale for the August 25-28 event in Toronto. They were supposed to start selling at 12:01 but technical glitches caused by a sudden influx of people on the site caused the servers to crash for a while, and Rogers Wireless who were also selling tickets also had some initial glitches. By about 12:45 everything was working perfectly and it’s been fine since and the angry, frustrated e-Mob quickly dissipated. 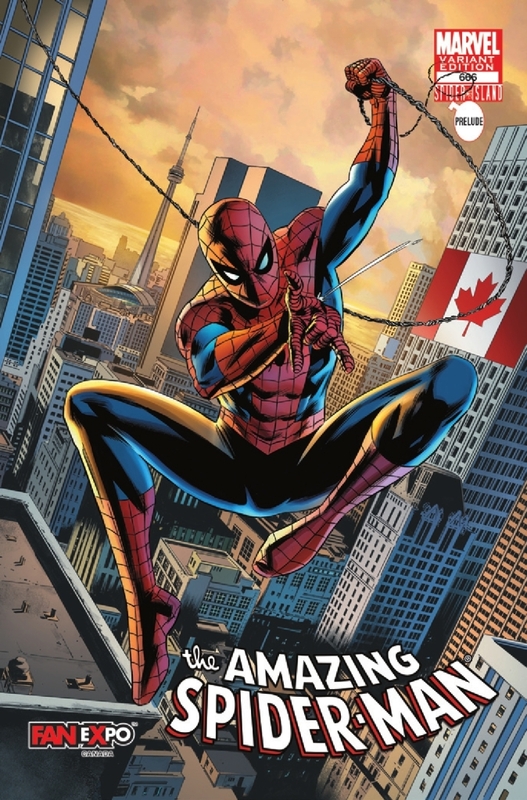 Pictured below: the Amazing Spider-Man 666 Fan Expo Canada variant only available to the 1500 Premium pass holders. Artwork is by US artist and guest Steve Epting. This entry was posted in Blogosphere, General Announcements, General News, Happenings by Kevin A. Boyd. Bookmark the permalink.